We are pleased to announce that the brand new Cherry Ghost album Herd Runners will be issued on a cream coloured vinyl. Strictly limited to 400 copies, the coloured vinyl will be available exclusively to independent record stores which are listed below. 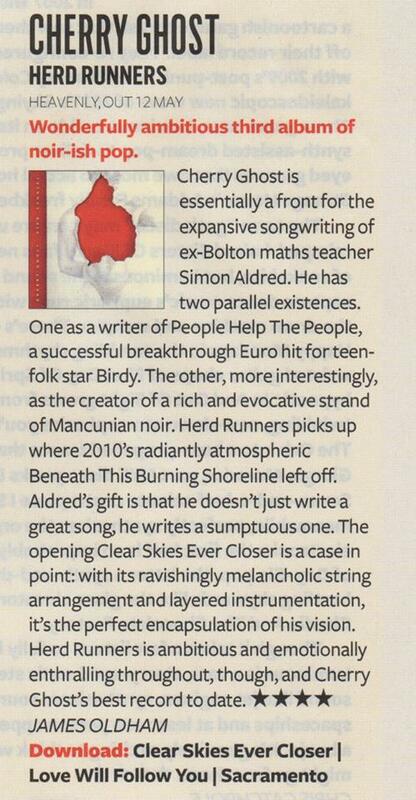 A couple really positive reviews of the new album Herd Runners from the NME & Q respectively. We have more reviews up on our facebook page. The album release date has been pushed back a week, and will now be released May 19th instead of this coming Monday. 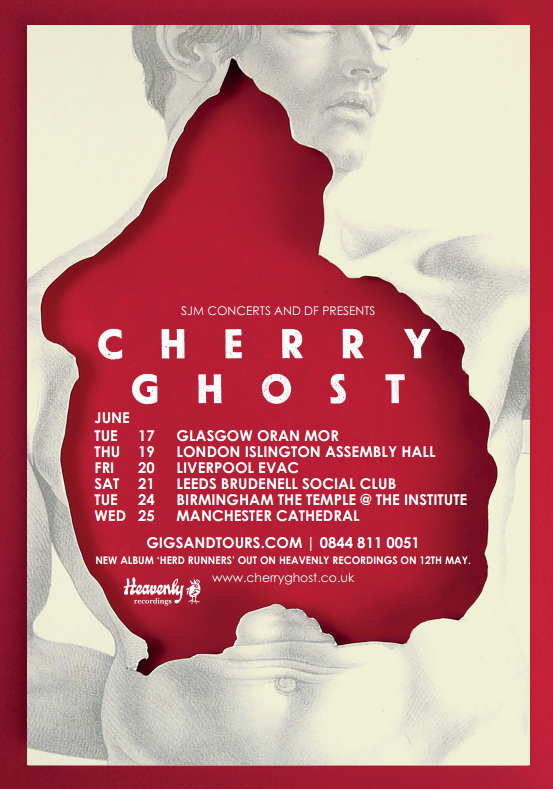 We are delighted to announce that Cherry Ghost will be out on tour in June. Tickets are on sale now at gigsinscotland for the Glasgow gig gigsandtours for all other shows.